We were drawn into the Baby Elegance stand at Harrogate by the very beautiful looking Baby Elegance Neyo. 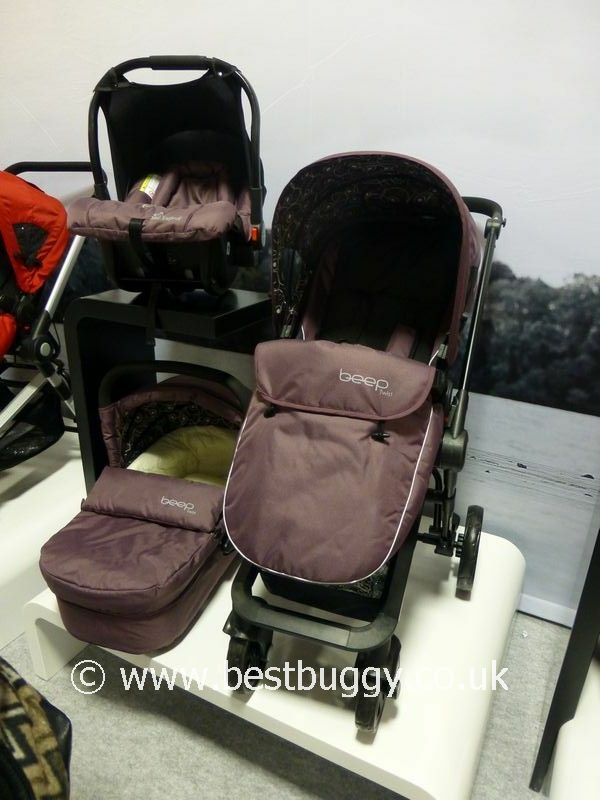 The Baby Elegance Neyo is a smart looking travel system which has a one handed carrycot release system. The carrycot is suitable for overnight sleeping. The reversible seat has an adjustable foot and back rest, and a height adjustable handle. There is also a matching car seat which fits into a Baby Elegance Isofix base. 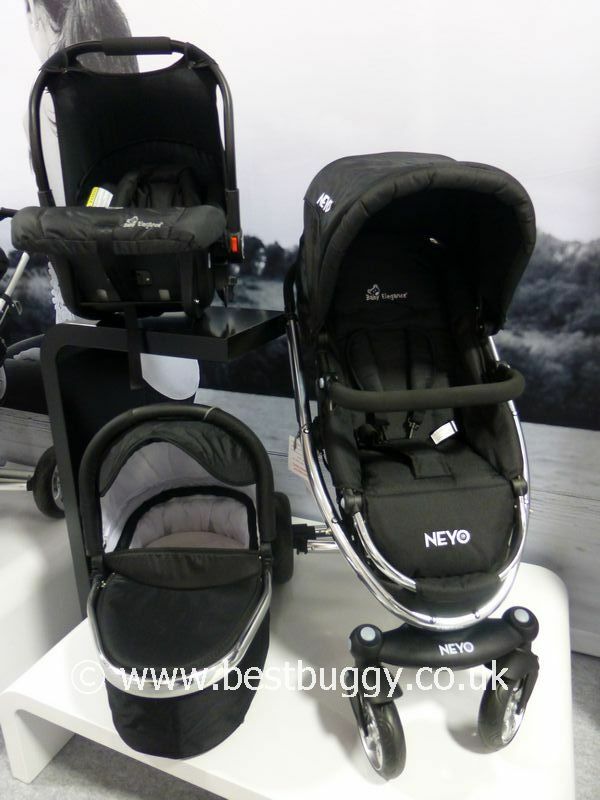 The Neyo was side by side with the Baby Elegance Beep Twist, which looked like it was a very practical, lightweight and well priced pushchair. 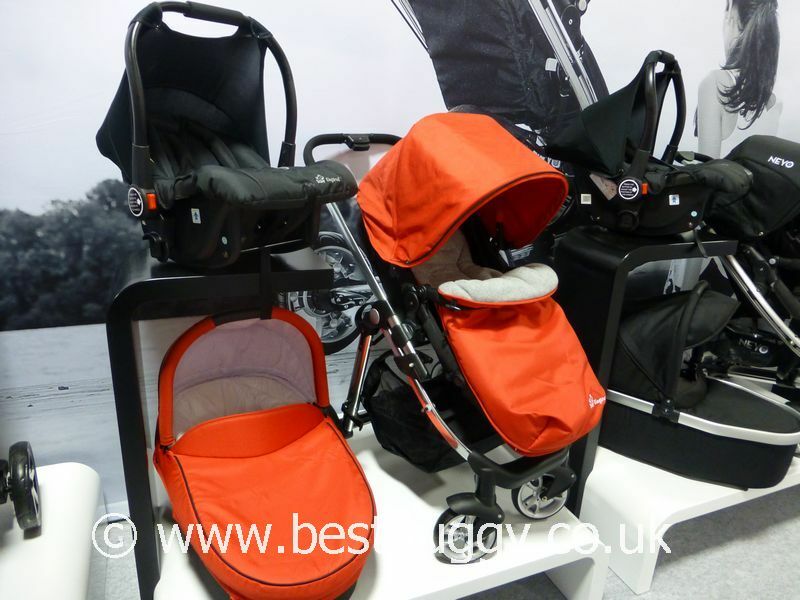 We liked the choice of 3 frame colours – black, silver and graphite and the coordinating carrycot and car seat. Very smart! There are 4 colour options – black, green, purple and red. The ability to raise the baby’s head in the carrycot, could be a useful one for babies with reflux.